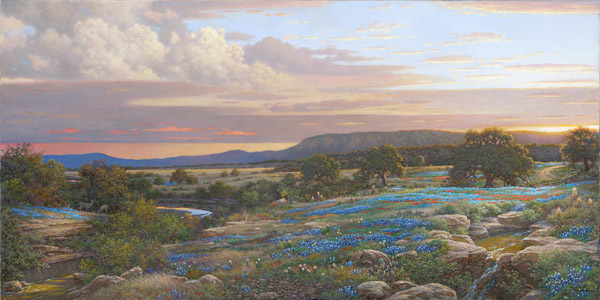 Dyke is one of our nation's foremost landscape painters, and he loves to paint the Texas Hill Country. The artist presents this panorama of the region as a magnificent landscape in all its glory. With a heavenly sky, a lush field of bluebonnets, a meandering stream, and a rocky terrain, Dyke has created a marvelous, eternal vista.